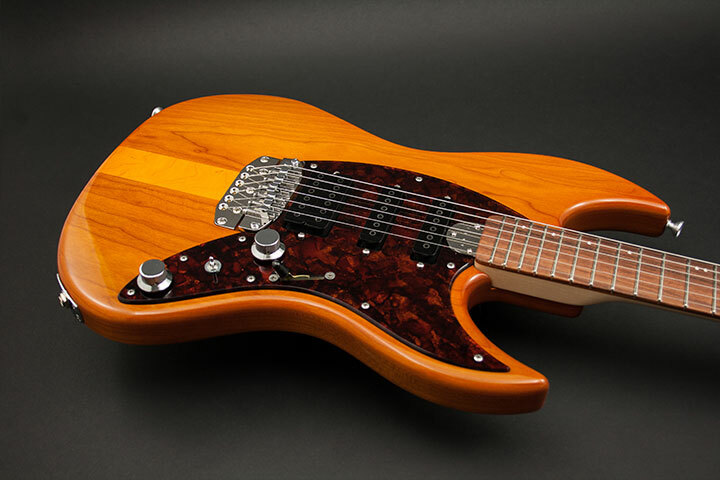 This past February, Canadian luthier and founder of Fury Guitars Glenn McDougall passed away at 79. He left a legacy as a renowned craftsperson and one of the most respected instrument builders in the country. In 1962, McDougall started Fury Guitars in the basement of his home in Saskatoon, Saskatchewan. 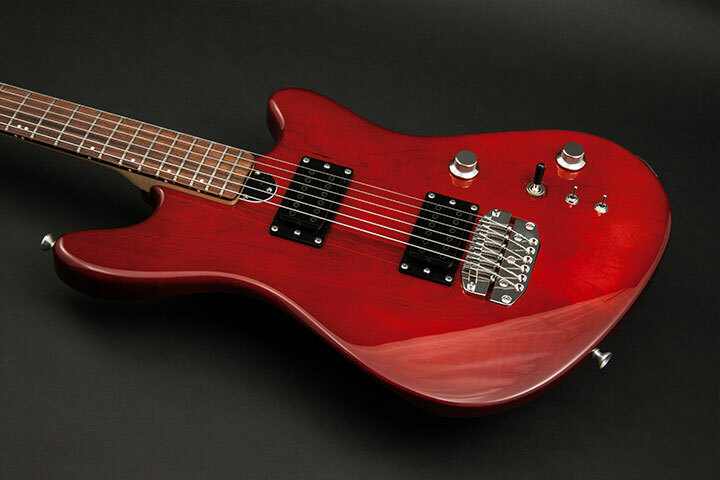 Fury remained relatively small throughout the years, with the company only producing around 10,000 guitars to date. However, those lucky enough to play one of McDougall's guitars seem, by and large, to be immediate Fury loyalists. All of his instruments were meticulously handcrafted, with his high–quality work a direct result of an uncompromising attention to detail. We had the opportunity to speak with Sheldon Dingwall, the founder of Dingwall Guitars, who knew and worked with McDougall (and was even inspired by him to pursue starting his own company) about the Fury luthier and why Furys are so revered. How did you come to know Glenn? Glenn was a local legend in Saskatoon. I first heard of him when I was in my early teens. You couldn't talk about guitars in our area for very long without his name popping up. He was a truly larger-than-life type of personality. Do you remember how you first met? I first met him when I brought over one of the first necks I'd ever made for his evaluation. I also had a guitar that I'd built that I needed to have finished, and he was willing to take on the work even though it was a complex finish. He was then, as he was every time we met, very encouraging and positive. I'd really like to get a picture of what he was like as a person. Why did he start a guitar company? Glenn showed the early signs of being a mechanical genius in his early teens. He did a 3D drafting of carburetor at 13 and built his own hot rod shortly after. Glenn always had a bit of a mischievous, outlaw streak in him and used his hot rod on several occasions to outrun the highway patrol. He would have fit right into the movie American Graffiti. In his late teens, Glenn was a professional guitar player. He toured all over Western Canada and into the United States. He'd saved his money to buy his dream guitar, a Gibson L5. After a while of playing it, he started to notice the truss rod resonating inside the neck. Frustrated that there was nothing that could be done about it, he set out to design a better truss rod. Glenn's playing career ended when he was involved in a serious car accident. Upon recovering he decided to build a guitar to test his new truss rod design. From there, he was hooked and started the Fury Guitar Company. The outlaw side of his personality was still very much intact. Glenn once showed me one of his first promotional photos. And if you looked closely, you could see he was sporting a black eye from a good–natured fist fight the night before. Knowing Glenn, the fight probably involved the biggest, toughest guy in the room. How did he go about starting Fury? Glenn started in his basement. For the first few years, he worked at it part time while being employed as a sign painter. Part time to Glenn was more like working two full time jobs. He would often work a day shift painting signs, work through the night building guitars, and work another day shift painting signs, sleeping only every second night. What are his guitars like? 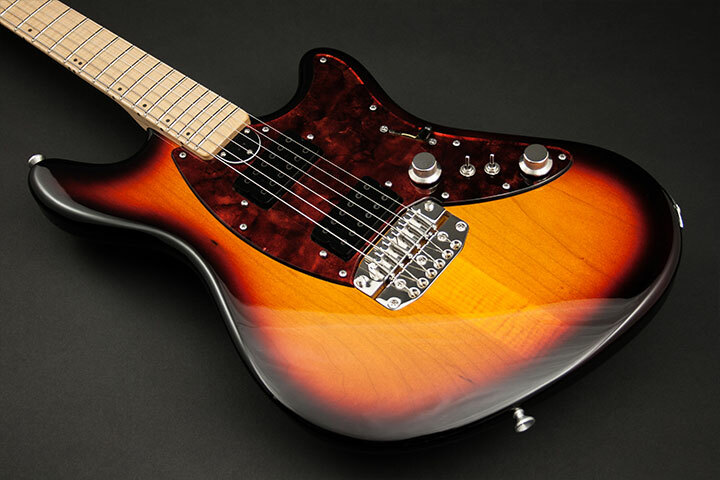 Glenn's guitars have evolved over the years as the market changed. However, they all feature his unique design style that, to me, suggests a heavy influence from mid–century modern furniture to Picasso paintings and sculptures. Glenn's strong mechanical sensibilities also played a part in his designs. 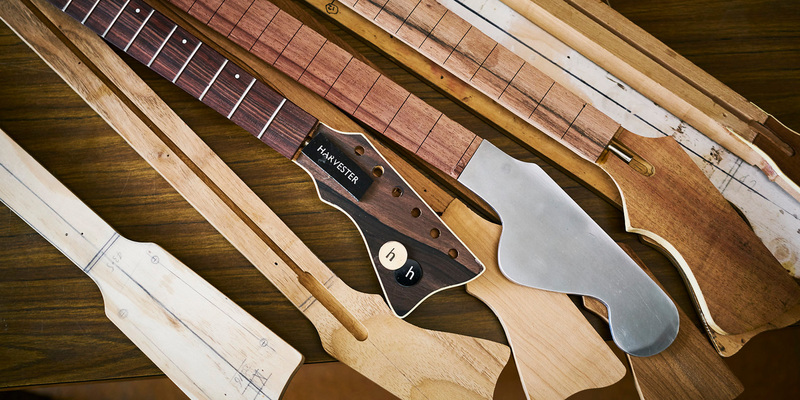 He designed and manufactured every item on his guitars with exception of the tuners. His hardware designs had a rugged, function-first quality that made them very reliable. What is it about his guitars that makes them special and unique? Glenn never tried to copy other brands. His vision was uniquely his own, and he pursued it with artistic integrity. His guitars are popular in '50s music, country, rock and pop. They’re noted for their long sustain and ringing harmonics. 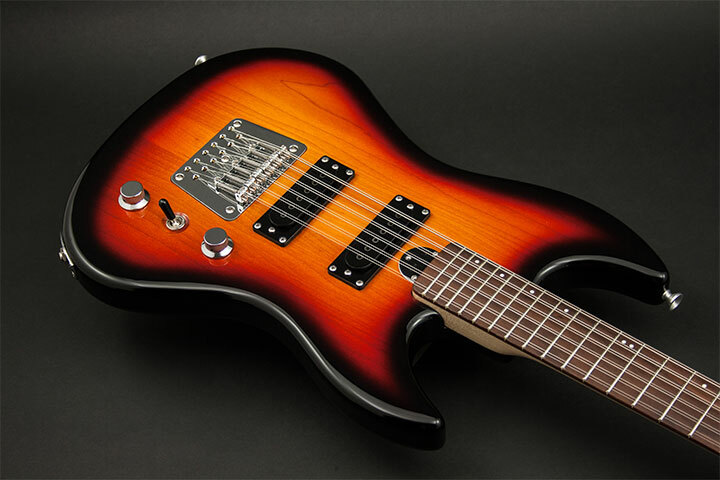 His ZP pickups have been popular upgrades for other brands of guitars, too. Fury is certainly a lesser-known name, but most people who play them seem truly to swear by them. Why is that? Some of that brand loyalty has to do with Glenn himself. He was one of the most generous, kind-hearted people I've ever met. A visit with Glenn usually lasted hours. Once you saw the effort and thought that went into every single component, it was like drinking the Kool-Aid. You couldn't help but be a fan. Aside from that, each guitar is a well–made, working musician’s guitar. They are designed to be gigged night after night and to never let you down. They have an incredibly solid feel and great tone. Do you have a favourite model? The 20th Century Artist is my favorite. The plain strings ring like bells. The vibrato works incredibly smoothly. It's as much a pleasure look at as it is to play. I'm also a fan of the LS4 bass. To me, that's the most "Picasso" looking of his designs and was an iconic bass when I was growing up. Do you know what will happen to the company now that Glenn has passed? The future of the company is yet to be decided. There are a lot of people who would love to keep it going. Fury fans are very passionate. What did Glenn teach you about building instruments? What does his legacy mean to you? We use a variation of his original trussrod design. He helped us develop our own line of bass pickups. The "F" in our pickup models FD3 and FDV stands for Fury. He guided me through setting up my manufacturing operation. He taught me a lot about spray finishing and buffing, hardware manufacturing, tool design, machining, how to modify woodworking machines to do jobs they were never designed for. The list is nearly endless. Would I have not known about Glenn when I was young, I likely would have rejected the idea of my own guitar company before ever starting. Knowing about Glenn meant that I didn't have the initial mental barrier to overcome. I knew [starting a guitar company] was possible by his example. When my shop was lost in a fire, he was one of the first to offer his help to rebuild. So I guess he helped me get into business twice. The man behind the Melbourne shop talks about learning his craft, luthiers he loves, and his famous clients.